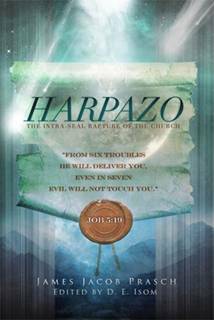 HARPAZO – The Intra-Seal Rapture of the Church – NOW AVAILABLE! Greetings in Christ Jesus,This is what you’ve been waiting for! The new book by James Jacob Prasch”HARPAZO: The Intra-Seal Rapture of the Church“is now available! 70 weeks of Daniel, be awake, David Nathan, discern good and evil, get oil for your lamp, jacob Prasch, kry olie vir die lampe, melk en vaste spyse, milk and solid food, olivet discourse, profesie, prophecy, Rapture - Wegraping, return of Christ, wees wakker, Wegraping. Bookmark.